All of Kate Pavelle’s books share one aspect that I particularly love: they allow me glimpses into environments and circumstances I know little to nothing about. Settings that are just that bit different from the traditional offerings of college, office, coffeeshop, restaurant or rodeo. Don’t get me wrong – I love all of the above and have read my share, but variety doesn’t hurt and I often pick up one of the author’s books to see where she’s gonna take me this time. Whether it’s a dressage stable or an aikido club, a semiconductor research lab or a triathlon tournament, I get a chance to pick up images I might never have gotten to see otherwise. 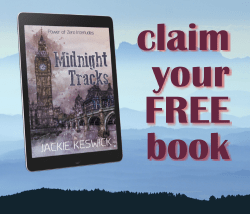 And Lucky Starflowers, Kate Pavelle’s latest book, does it again. The latest Steel City Story gives us the chance to peek behind the doors of a flower shop, left to Theodore and his cousin Rickey by a much loved aunt. The shop was run with love and passion for many years, but to provide a living for two young men, it needs some investment. Fortunately, Rickey and Theodore’s families step in to help. Unfortunately, Valentine’s Day is looming – a holiday that will stretch a flower shop emotionally and financially to the limits. Short-term help is desperately needed and it arrives in the form of down-on-his-luck gambler, Sam Gray. Were he not nursing a bruised heart, Theodore might find the new help enticing. But despite love being in the air and all around them, it’s the last thing on Theodore’s mind. 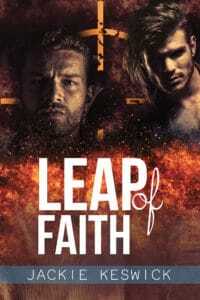 Sam isn’t looking for love either, but as often happens, it finds them regardless. With a little help from Theodore’s cousin Rickey and their extensive family, admittedly. But what some may call meddling, others may treat as a wakeup call… like Sam when he realises what’s missing in his life. That’s something else Kate Pavelle does well…her descriptions of family dynamics and idiosyncrasies always make me smile and often make me laugh. If you come from a big family, you may remember dramas of the past. And if you don’t… you’ll find enjoyment imagining them. 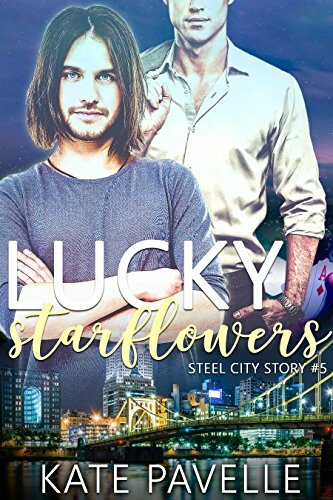 I found Lucky Starflowers an enjoyable, entertaining read… and I’ll never look at my local flowershop the same way again.